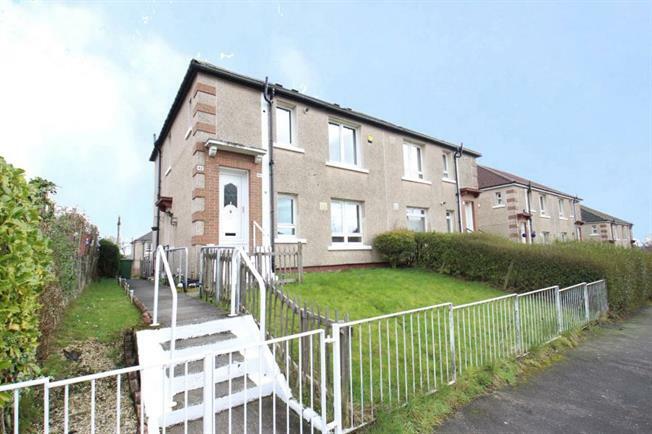 1 Bedroom Flat For Sale in Glasgow for Offers Over £45,000. This is an excellent opportunity to acquire this lower cottage flat, were the current owners have created a property that is in walk in condition, set in a block of four located within a popular residential pocket of Royston. The accommodation comprises of the entrance hallway, lounge, fitted kitchen with floor and wall mounted units. One double sized bedroom and there is a modern family shower room. In addition there is double glazing, gas central heating and storage. Externally there is a private front gardens and communal rear garden. Royston offers a wide selection of local amenities which will cater for day-to-day needs, including local shopping. A rail link is available close by and there are superb road and bus links to Glasgow city centre.